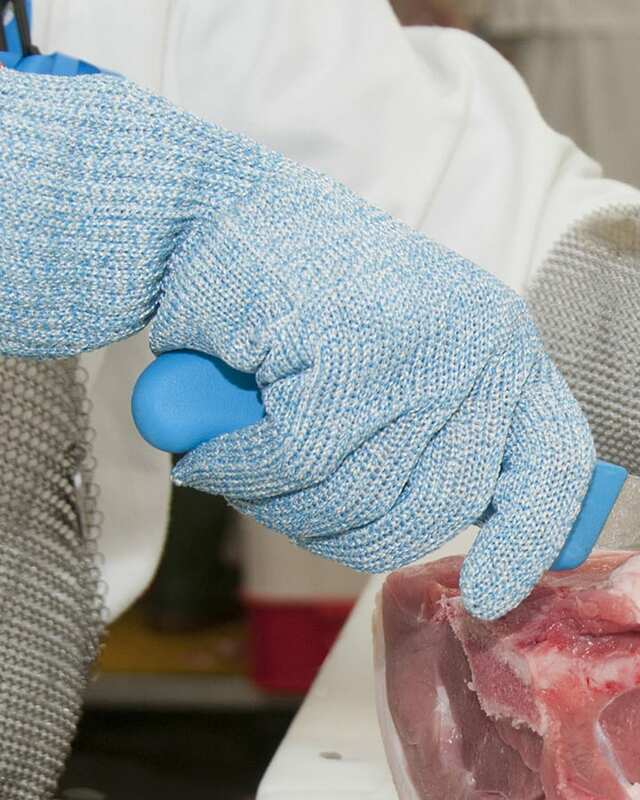 The 407B medium weight cut resistant food preparation glove is the optimal balance between high cut resistance, durability, and flexibility. Suitable for medium duty meat carving and deboning, fish processing and filleting, the glove delivers good grip even when animal fats are present. An extended cuff provides added protection to the wrist area. Can be industrially laundered at up to 92°c.